We all connect to the Internet and browse through thousand and thousand of website every day. But not all of us know how it actually works or what is it exactly. Most people refer to the Internet and the World Wide Web (WWW) as the same thing; however, they are not. Let’s make the distinction between the two. The Internet is a planetary network system of different computers or networks that are interconnected through the Internet Protocol Suite or commonly known as TCP/IP. This vast system thus becomes a huge network of networks that servers billions of users and organizations along the world. This huge global network known as the Internet carries and provides a huge array of resources and services. Some of these services can be your electronic mail. But the most used service provided by the Internet is the World Wide Web. So the WWW sits on the Internet as a service. It works as array of linked hypertext documents that can consists on images, text, multimedia, etc. Let’s now focus on the WWW and let me go through some history. The WWW was proposed by English engineer Tim Berners-Lee in 1989 and refined later in 1990. With the help of other scientists, the proposal suggested a WWW as a group of hypertext documents that could be accessed at will by users. Enough with history, let’s take a simple look at how the WWW works: After we either type the URL, the web browser tries to communicate with web servers. This is done by resolving the user friendly website address (such as www.google.com) into a more computer friendly IP address (such as 74.125.229.52). This is done by using a global database known as DNS or Domain Name System. To put it in simple terms, then the browser sends the website requests and retrieves it. Everything goes under the hood and the particular engine in charge of this is the TCP/IP Suite. 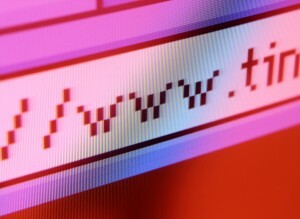 Few interesting facts about the WWW: There are currently 91,0160669 .COM domains registered. 13,474,670 .NET domains and 8,900,188 . ORG domains registered as well. The total domain registries number is 122,763,500. The fastest growing domain registrars are Go DADDY with over 500,000 registrations. Followed by NET.CN; and FASTDOMAINS.COM. When it comes to number of accessible website, according to Netcraft and a test ran in August 2010, they received responses from 213,458,815 websites. However, this number is very hard to determine since there are thousands of websites going up and down every given minute. The Netcraft test also includes blogs. It’s very hard to determine number of existing web pages, but there are around 1 Trillion web pages indexed by Google. This means that Google search engines need to process 1 trillion links that consist of unique URL’s in order to finish a search query.